You cannot have more than one homestead at the same time. 1. Do You Have to Be Legally Married to File Married Status for Income Taxes? 2. Can You File a Joint Return if You Are Married & Don't Live Together? Homestead exemptions have rules and regulations that differ by state. In all states, however, an individual or married couple can have only one homestead exemption, as homesteads are designed to protect some or all of the owners' equity in their primary residence. Homeowners can only have one legal primary residence. Second or vacation homes, by definition, are not primary residences. Investment homes do not qualify for homestead exemptions in any jurisdiction. Although each state might word it differently, a primary residence is one that is occupied most of each year by the homeowner. Sometimes defined clearly as occupancy for more than six months per year -- even six months and one day may qualify -- by the homeowners, primary residence qualification is often clearly defined. If you have homes in two states, you are still permitted only one homestead exemption, as the law understands that you cannot have more than one primary residence. 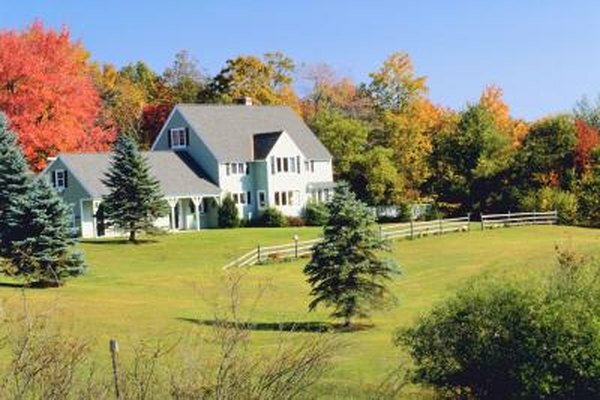 Some states provide a variation -- though not an exception -- to the rule that a primary residence equals one homestead. Should a married couple be headed for divorce and the divorce is not final, they may have two homestead exemptions if they meet certain conditions. Typically, they must have a legal separation agreement, live apart, be financially independent and receive no support other than court-ordered maintenance payments, and each partner must own a home. Although the parties are still legally married, some states, such as Florida, allow each spouse to declare a homestead exemption. To take advantage of homestead exemption benefits, you must declare your homestead by Dec. 31 to enjoy the homestead protection during the following year. You must submit your application for a homestead exemption before year's end, although you might not receive formal written approval until the next year should you file at the end of the year. If your request is filed before Jan. 1 and it's approved, you can take advantage of property tax breaks and creditor protection during the new year. Even in states with liberal homestead laws, such as Florida, you cannot be a resident of one state and declare a homestead in another. While this may seem obvious, it can confuse some homeowners. For example, if your legal residency is in a state where you rent a home, you cannot declare a homestead there. Homestead applications require you to declare your state of residency and declare that you have no homestead in that state. The state in which you wish to declare a homestead should verify your residency and confirm that you have no other homestead protection. If the answers confirm that you're a legal resident of another state or have filed a homestead anywhere else in the U.S., you'll be denied homestead protection in the second state. Waller & Mitchell, Attorneys at Law: Who Qualifies for a Homestead Exemption? Trulia: Florida Homestead Exemption on 2 Homes? Do I Need to Refile My Homestead Exemption After Refinancing? Can You Leave Personal Property to a Non-Relative in a Letter?